General guide how to replace colors in an image ready to print. 18 page document. 16 page guide on simple editing functions to more complex edit functions. 21 page instruction guide about the ErgoSoft Print Environment Manager. Short 4 page guide pertaining to adding images and text. This document will provide a complete overview of the functions and features of the ErgoSoft RIP. 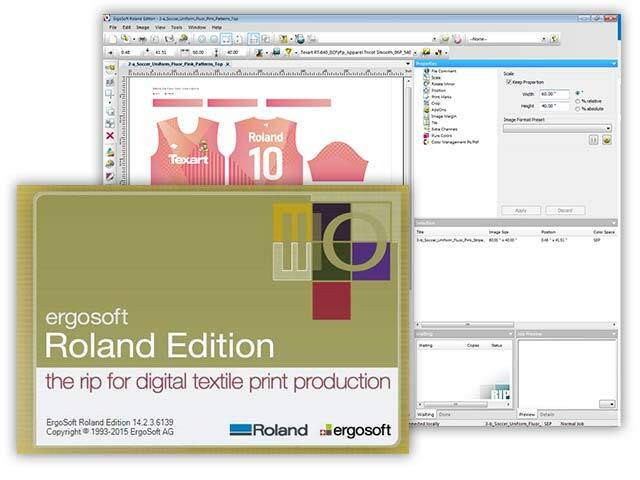 This is an instruction guide on how to add 1-pass mode in ErgoSoft Roland Edition for the Texart printers. ErgoSoft Roland Edition 2 Installer for RT-640 and XT-640. ErgoSoft Roland Edition 2 Installer (64-bit) for RT-640 and XT-640. Most updated installer to run both RT and XT. Includes HotFix for Windows Security Update. Does Roland VersaWorks Support 4 and 8 color on the RT-640?